Oh, it’s you and me. I Know it’s my destiny. I just typed that completely from memory, which should tell you something about my obsession with Pokémon as a child and, though my love of the TV show has dwindled away to nothing, you’re still more than likely to find me whiling my hours away on one of the games even now. In fact, for the last few years, Pokémon has become serious business for me, as I opened my eyes to the competitive Pokémon scene. The playtime on each of my save files skyrocketed, my personal compendium of knowledge began to expand and I even started to breed Pokémon for their stats rather than being satisfied with whatever I caught. In short, I started putting a lot of work into becoming a great Pokémon player and, over time, it actually began to work. I started going to tournaments and after a majestic start in which I recorded zero wins and two losses, the wins started to come. I went to the Pokémon Nationals and didn’t bomb. I went to local tournaments and placed in the top three once or twice. Basically, I’m pretty damn awesome at Pokémon. Or rather, I was. Putting that much work into Pokémon is pretty exhausting, especially when you have to remake your teams every time a new game is released, and we’re now two games past the point where I was really competitive. I went through a phase of actually putting some effort into my university course in the hopes of graduating with a usable degree, and suddenly I was way behind the brand new metagame that had been shaken up by the introduction of a brand new Fairy type. So rather than trying to catch up, I did the logical thing and switched my focus. Once I dreamed of proving myself a Pokémon Master on the field of battle. Now I was choosing to prove myself a in another way. 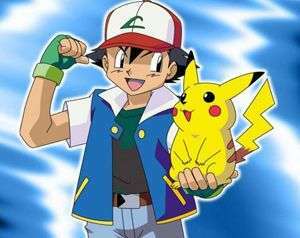 I would take the very same journey that Ash Ketchum had embarked upon from Pallet Town, all those years ago – the source of all my love for Pokémon in the first place. I’d do something that only a real PokeMaster could do. I would catch them all. It sounds so easy when you say it outright, but it wasn’t long before I had essentially given up on my dream of filling the Pokedex. As of the sixth, most recent generation of games, there are 749 Pokémon. I’ve no idea why they chose such an unfulfilling number of the little blighters but, more importantly, back when I started up Red and Blue for the first time, there were far fewer of them. Since I’ve played each game as it was released, it had never really stuck in my mind quite how many creatures you could now make fight to the death until I decided to try and catch all of them. Even worse, there are a fair few that can only be obtained in games that are well over ten years old and then shuffled through increasingly arcane means to get them into whatever sixth generation game is your poison of choice. For everything that wasn’t considered legendary, however, they could be found in one of Pokémon X and Pokémon Y or Omega Ruby and Alpha Sapphire – the two games released for the 3DS. As of this morning, when I finally breached the 600 mark, my Omega Ruby save file has over 260 hours played. In fairness, a large chunk of that time has been dedicated to hatching shinies – when it comes to Pokémon, I’m essentially a magpie: shiny is better – which is a time consuming process at the best of times, but an even larger part has been hunting all over the map to make sure that I have found and caught every single pocket monster in every single area. There’s still a long way to go of course – I have the equivalent of the whole first generation’s games left to obtain, and I never managed to catch ‘em all back when I was playing those – and that’s plenty of hours yet to sink, but for the first time since I slotted my copy of Red into my GameBoy Pocket, the end is in sight. And when I finally get Pokemon 749, I’m going to be the very best. Like no one ever was.